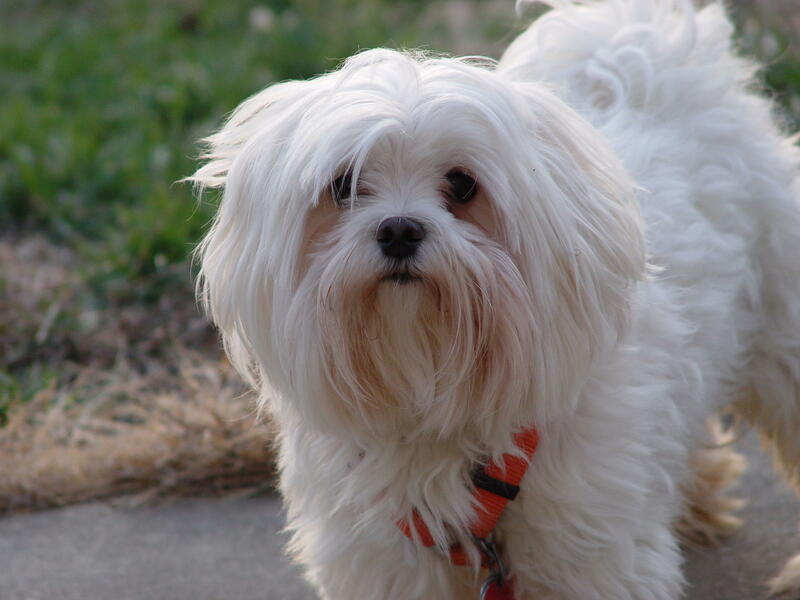 Maltese dogs make great pets! B.B. King's dog, Lucille, was a white Maltese. This small breed is known to be affectionate, playful and intelligent. But so are many other pets, whether purebred or not. Just look for one that suits your personality and lifestyle! Valentine’s Day is coming up this next week, and it’s got me thinking about relationships. We all have important relationships in our lives – with our sweethearts, our families, our friends, and yes, even our pets. It’s difficult to measure the impact of that pet relationship in our lives, unless we reach a crisis point where we are in danger of losing that companionship. The great bluesman, B.B. King, had a dog - a 2-year-old white Maltese he called Lucille, named for his legendary guitar. She inadvertently got loose while being cared for by Mr. King’s manager. He checked around at local animal shelters, and put up several hundred “lost dog” signs, but that didn’t bring Lucille home. Finally, the musician was so distraught over the loss of his dog that he offered one of his classic guitars, autographed by him, for the safe return of his pet. What was it about his dog that made B.B. King willing to give up one of his most prized possessions to get his pet back? I’m sure he could have afforded to get another dog, so that can’t be it. Lucille the dog was special to him because he knew she was not impressed with who he was or the success he had achieved. She loved him because of who he was as a person. That’s the thing that makes our relationships with our pets so special. Their devotion to us doesn’t depend on what we’ve accomplished, whether we’re beautiful or popular. They can see us at our worst, when we’re tired or unhappy or sick or scared, and they’re just glad we’re there. A relationship with a pet may not be the most important one in your life, but it can still be one to enjoy and even celebrate. So if you’re feeling lonely because you don’t have a Valentine to celebrate, visit your local animal shelter or rescue group, where there are hundreds of them just waiting for you. You’ll find lots of great dogs and cats all hoping for exactly the same thing you are, a great relationship with that special someone. They say you can’t buy love, but you sure can adopt it, when you’re speaking of pets.